Whale watching is at its peak in Los Cabos from mid-December to mid-April. Many whale species can be spotted in Los Cabos in this time frame, including gray, humpback, sperm, blue, and whale sharks. Organized tours are available, or sit back at a high point on your resort (try the hotel lobby bar) to see them for free. Land’s End separates the Pacific from the Sea of Cortez. 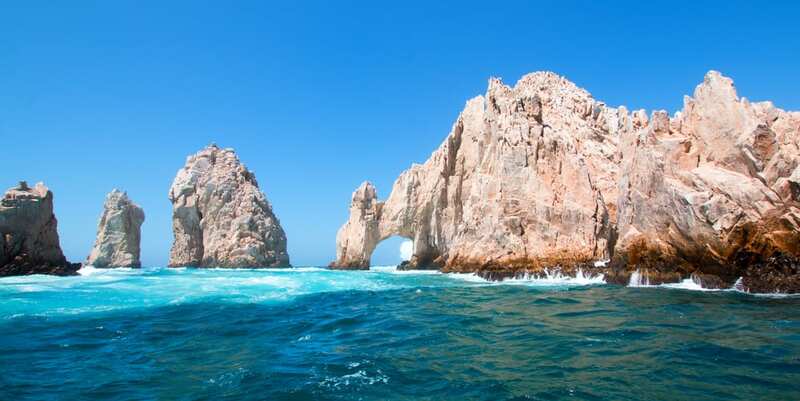 The jagged rock formation is one of Cabo’s top attractions. Boat tours are available from the Marina or Playa Medano. Stop to walk through the gap between Lover’s Beach on the Cortez side and Divorce Beach on the Pacific side. Los Cabos is a golfer’s paradise, and golfing in Cabo can be enjoyable even if you aren’t a big fan of the sport. The fairway views are so gorgeous, that even non-golf lovers will enjoy. 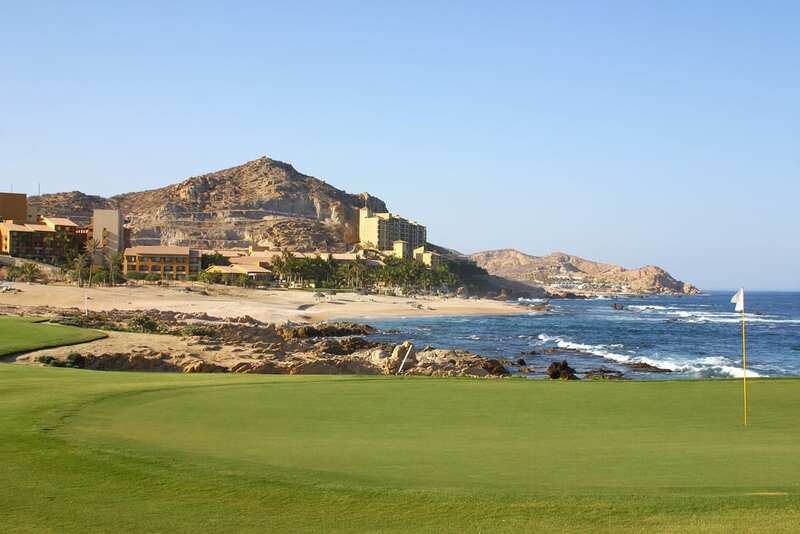 Los Cabos is home to seven of the very best golf courses in all of Mexico, including the famed Palmilla Golf Club. Visit this funky surf town in Baja that is just one hour away from Cabo San Lucas. 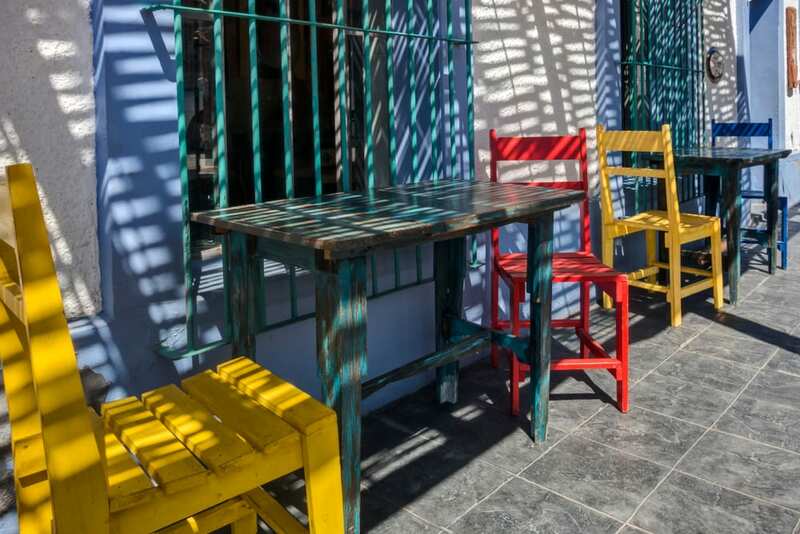 Here you will find gorgeous colonial architecture, boutique hotels, art galleries, and the best seafood in all of Mexico. Here you will find a hotel called “Hotel California”, which despite heavy marketing is not the inspiration behind the song. Still, it is a cute little boutique hotel and the area is quaint and friendly. If you like to party, this is the place to be in Los Cabos. 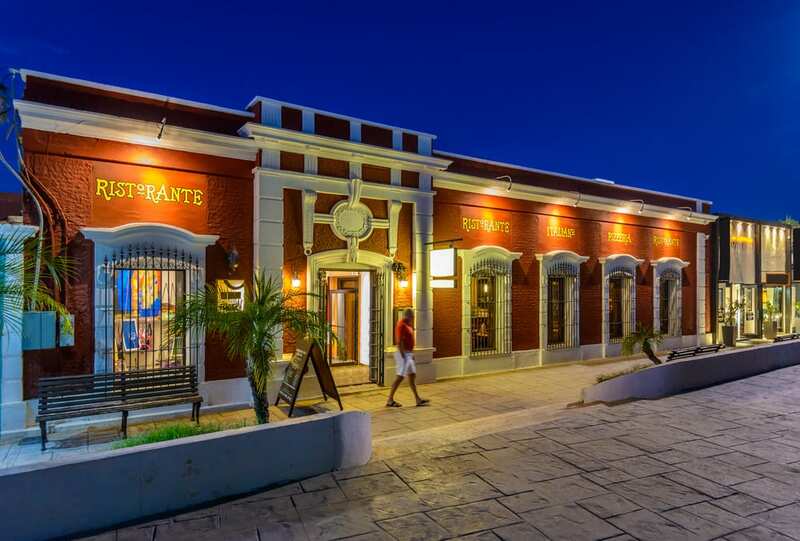 Bars, nightclubs, and cantinas are around every corner in downtown Cabo San Lucas. During the day, hit a beach bar on Playa Medano. Call us today to speak to one of our Mexico specialists at 402-281-3022.